Photo provided by Zach Fleisher. International students took to the streets in summer 2014 and 2015, denouncing differential admission requirements and increased tuition fees. There is a limited amount of space set aside for international students in various faculties – most notably in the department of civil engineering. Limited space for international students, makes admission more competitive, resulting in a higher grade point average necessary to be viable for entrance. The protesters targeted their criticism at what they call sudden, opaque, and arbitrary decisions made by the U of M administration that have failed to keep international students in the loop on matters concerning them. 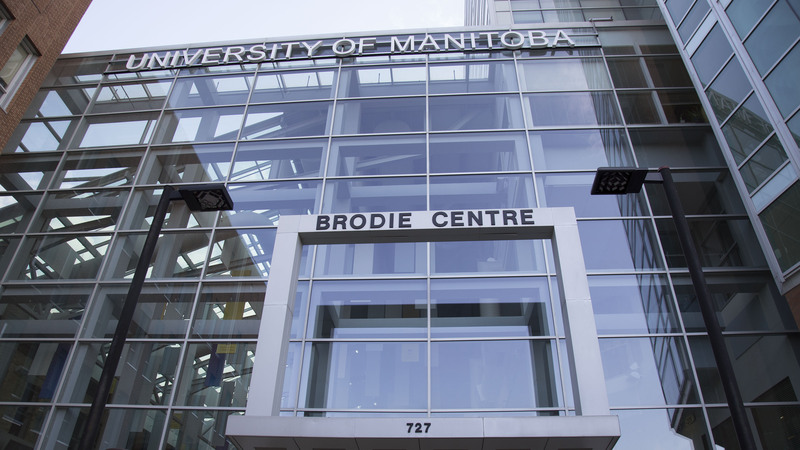 Representatives of the executive slates running for the upcoming election met with the Manitoban to outline their respective stances on the issue, as well as to define the role they believe UMSU ought to take in resolving the situation at hand. Astitwa Thapa, presidential candidate and current vice-president external for UMSU, deemed the rigorous admission requirements for international students discriminatory. A participant in the original protest that took place on campus, Thapa says that it’s unacceptable that an international student with a 4.0 GPA is likely to face rejection from the faculty of engineering. Thapa went on to say Strong UMSU would work closely with international students to pressure the university into changing the current policy while also beginning the process of lobbying to increase the spaces available for international students within faculties. Presidential candidate and current UMSU vice-president internal Zachary LeClerc said the issue at hand is class sizes and the university’s capacity to house international students, not GPA requirements. LeClerc claimed the university is failing to use space effectively and is thus not operating at full capacity, resulting in many of the woes international students currently face at the U of M.
LeClerc said he would use his position on UMSU to reconcile efforts with the international student body and lobby the university to increase enrolment, capitalize on the professor-student ratio, and fill empty classrooms. By increasing the efficiency of space usage at the university, LeClerc argued availability would increase for international students and consequently solve the issue at hand. Presidential candidate and current arts student body president Tanjit Nagra claimed the larger issue at play is that the faculty of engineering, specifically, is over-crowded with students. Nagra said UMSU For You would like to work with the university administration in expending recent donation sums towards the renovation of existing buildings that would be allocated to the faculty of engineering, increasing its capacity to accommodate the current student body as well as higher levels of student enrolment. “I think it’s a snowball effect. We need to start here, and then keep moving on,” Nagra said in reference to such plans. She added that a solution to the current dilemma will follow once the problem of overpopulation in faculties lacking adequate resources is properly dealt with. Nagra also believes UMSU needs to work on expanding the number of services and resources that are available for international students to access. Niall Harney, presidential candidate and treasurer for the Manitoban branch of the Canadian Federation of Students, criticized past actions of the administration, saying many international students are brought to Manitoba and supported throughout their first year but lose that framework of services as they progress in their studies. This, alongside differential admission requirements, is symptomatic of what Harney says is very poor treatment of international students at the U of M.
Harney advocates for more consultation to take place with the international student body, so as to not leave them in the dark when it comes to policy decisions that greatly impact the trajectory of their academic careers. Andrew Fenwick, presidential candidate and current students living with disabilities representative for UMSU, said the current situation for international students at the U of M fosters a dangerous “us versus them” mentality on campus. 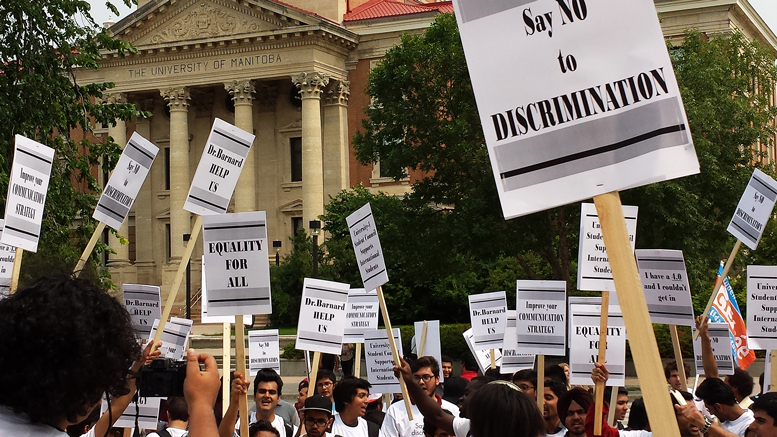 Fenwick argued that education is a universal right and called for an end to what he described as discriminatory practices deployed by the U of M in its treatment of international students. Fenwick further advocated for the creation of a special consideration category in the enrolment process for international students.